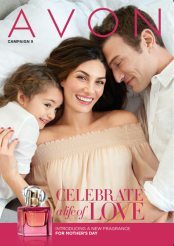 Here is the Avon Campaign 9 Brochure. You are sure to find things you want and need. The new Absolute perfume smells heavenly and would be perfect for Mother's Day. It is not too early to order. This brochure is good till April 19, 2017. If you would like to sell Avon use my code: mylindaelliott Then let me know you signed up! I would love to have you on my team.